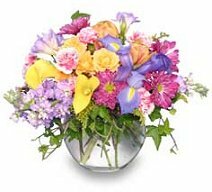 Flowers by Richard is a premier, full-service florist proudly serving New York, NY and the surrounding area for 25 years. Our friendly staff of florist is ready to assist you with placing orders for local delivery or anywhere around the world. Not sure what to send? We'll gladly help you with creative suggestions. Choose from several traditional and contemporary floral design styles that are perfect for any occasion… birthday, speedy recovery, congratulations, anniversary, thank you or just because. Remember corporate accounts are always welcome. The “Home of the Cabbage Rose,” Flowers by Richard can provide just what you need when you’re looking for something special! Wedding Flowers ~ We are the florist of choice. We specialize in creating your full-scale wedding arrangements. With Flowers by Richard designing the bouquets and floral arrangements, your special day is sure to be a blooming success!! Call us in advance and make your appointment for a consultation with a designer or event coordinator. All Occasion Gifts ~ Find the perfect gift for any occasion at Flowers by Richard! 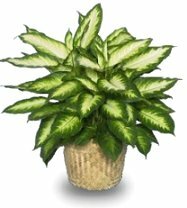 Browse our assortment of dish gardens and green and blooming plants for a gift that adds life to any room or office. We are stocked with a variety of other items, including gift baskets, decorative silk and dried arrangements, scented candles, candy, chocolates, greeting cards and much more! Flowers By Richard is open to serve your floral and gift giving needs: Monday through Friday 8:30 AM to 5:30 PM and Saturday and Sunday 9:00 AM to 3:00 PM. We are conveniently located in midtown Manhattan, close to Broadway theaters and hotels. We have delivery service to all New York City zip codes and all local funeral homes and hospitals. Taxes and delivery charges are not included. We accept Mastercard, Visa, Discover and American Express. Occasionally substitutions will be made when flowers are not available.